Musikfest professes to have one of the most diverse genre venues around. It’s a claim many music festivals make, but IMHO, Musikfest meets the challenge. Where else can you find a music festival that features musicians playing everything from polkas to indie punk rock? The selections are so varied, it’s hard to choose who to see. I’m always up for a new experience, so here are my two picks for tonight. This is a special shout out to all band geeks. Yes, I spent my time marching 8-to-5. We were bad; bad doesn’t even begin to describe it. There were no tryouts for our band, they were begging for warm bodies. For the first four or five home football games, I carried an instrument without a mouthpiece, just to help fill out the ranks. We did run-ons that were so chaotic the director told us “if you slip, bow. Make them think you meant it.” When the sousaphone player became enamored of one of the trumpet players, our director arranged Simon & Garfunkel’s “Cecilia” with a sousaphone solo. With that kind of background, I really need to see Mucca Pazza the rambunctious 20-piece circus-punk indie-rock marching band from Chicago that plays everything from Balkan brass to zombie mambo and demented arrangements of Dmitri Shostakovich. The group will lead a parade starting at 5 p.m. at Liederplatz and winding through the festival on the north side. After that, I’ll go for King Paris and His Hypnotic Guitar, 9 p.m. Volksplatz. Rick Vito, who was lead guitarist for Fleetwood Mac and Bob Seger in the 1980s and ’90s (and is a Kutztown University grad), takes his new turban-wearing persona to the stage. I spent my formative years in the San Francisco Bay Area. What can I say? His videos look like a couple of parties I attended. Besides, I’m totally intrigued by someone who pairs “Ring of Fire” with belly dancers. If neither of those float your boat, you can find something more to your taste here. Categories: Concert, Family Travel, Pennsylvania | Tags: Bethlehem, Bethlehem Music Festival, Concert, Family Travel, Kids, Lehigh Valley, Mid Atlantic Region, Mid Atlantic States, Mid Atlantic Travel, Music, Music Festival, Musikfest, Musikfest 2014, Musikfest Headliners, Musikfest Performers, PA Music Festival, Pennsylvania | Permalink. All you need to do to enter is LIKE, SHARE, and COMMENT on their Facebook picture and tell them who you’d take with you. They’ll select TWO winners on Friday and notify them in their post. 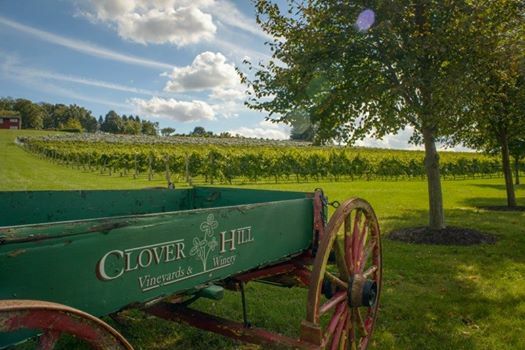 Join Clover Hill Winery for an inside look of their vineyards and production facility. Let them show you their winemaking process from the grape to the glass. The tour is approximately 1 ½ hours and includes wine tasting along the way. Reservations are required and space is limited. Guests under 21 are free and they are handicap accessible. Clover Hill Vineyards & Winery is a small, family owned business located in the Lehigh Valley, Pennsylvania. Today Clover Hill is producing more than 75,000 gallons of wine annually. For reservations please call 610-395-2468. Tour tickets are $12 per person, under 21 free. Tickets are still available for the July 21 session (this coming Monday) Call 610-395-2468 to reserve your session. Categories: Contests, Pennsylvania | Tags: Lehigh Valley, Mid Atlantic Region, Mid Atlantic States, Mid Atlantic Travel, Mid Atlantic Vineyards, Mid Atlantic Wineries, Wine Making, Wine Tasting, Winery | Permalink. 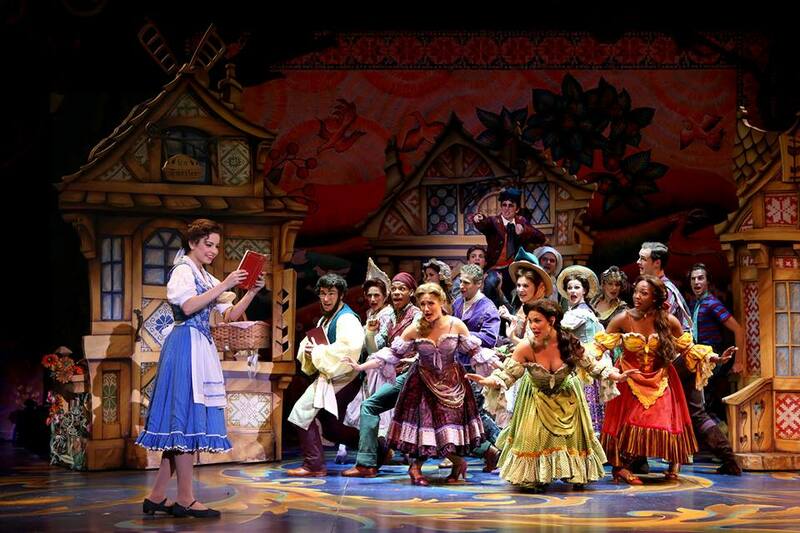 The friendly folks at Lehigh Valley, PA are giving away TWO PAIRS of tickets to see Beauty and the Beast at State Theatre Center for the Arts on June 3, 2014. To enter to win, go to their Facebook page and LIKE, COMMENT, and SHARE the photo. They’ll announce two winners on Tuesday, May 20. Categories: Contests, Pennsylvania | Tags: Beauty and the Beast, Lehigh Valley, Mid Atlantic Region, Mid Atlantic States, Mid Atlantic Travel | Permalink. Four tickets to Dinosaurs Alive! Did you know that Olympus® North America is headquartered right here in Lehigh Valley, Pa.? As a bonus, the winner of this experience will receive an Olympus® Tough TG-630 iHS Digital Camera to capture their Ultimate Lehigh Valley Experience courtesy of our friends at Olympus®. Categories: Contests, Pennsylvania | Tags: Dorney Park & Wildwater Kingdom, Lehigh Valley, Lehigh Valley Travel Contest, Mid Atlantic Region, Mid Atlantic States, Mid Atlantic Travel, Mid Atlantic Travel Contest, Pennsylvania, Travel Contest | Permalink. Looking for a heart pounding date idea for Valentine’s Day? Chocolate and dinner is so obvious, why not head over to Lehigh Valley Grand Prix, and take advantage of the Valentine’s Day Sweetheart Couple’s Package? It’s something new, distinctive and exciting to share with your Valentine. 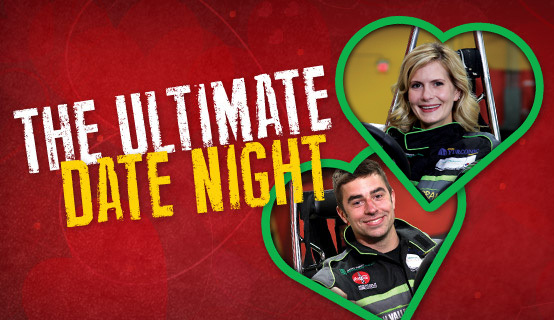 You and your partner get to experience the excitement of high speed racing, share pizza and get your chocolate fix. For added romance, your love gets the traditional red rose. All for $99 per couple. Categories: Pennsylvania | Tags: Date Night, Lehigh Valley, Lehigh Valley Grand Prix, Mid Atlantic Region, Mid Atlantic Travel, Pennsylvania, Valentine's Date | Permalink.